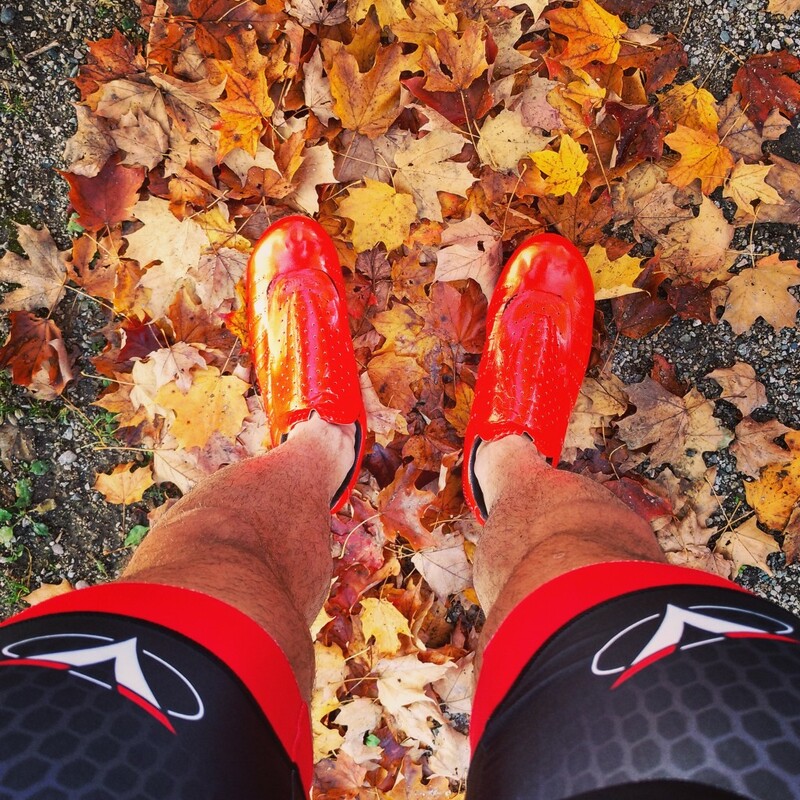 How pro triathletes actually train is a subject shrouded in mystery. I first offered a peek behind the curtain by sharing a detailed record of my training leading up to my win at Ironman 70.3 Ecuador in July. That post sparked more than enough interest to justify a sequel and maybe even a series. Building on the first part, I’ll share more training insights including a breakdown of my weekly schedule picking up were we left off in August. My weekly schedule can be found towards the end of this post, but first, a summary and some thoughts on self-coaching, periodization and more. This block was a continuation of the polarized, moderate volume, 7-day cycle approach of the previous one. But unlike the preceding block, in which I repeated nearly identical training weeks, this one featured a progression in several of the key sessions. During the four weeks that formed the “meat” of the block, I averaged about 6 swims totaling around 20,000 meters, 4 rides totaling 7-9 hours, 9 runs totaling 71-97 km and a minimal in-season conditioning routine totaling about an hour per week. Total training volume averaged about 22 hours per week. This was an altogether solid block, though it didn’t go quite as smoothly as the lead up to Ecuador. Fatigue and illness forced me to back off in the fifth week. In hindsight, I failed to listen to my body and read some warning signs. I also forgot an old lesson: unspectacular but consistent workouts trump epic but erratic workouts every time. I concocted a particularly diabolical trainer workout and turned myself inside out to complete it four times. The fourth edition reduced me to a puddle of quivering protoplasm and I promptly came down with an illness the next day. Perhaps the greatest challenge of self-coaching is maintaining an objective perspective. It’s impossible to not become emotionally invested in the process and allow that to influence your perspective and decision making. I have found that effective self-coaching almost requires you to cultivate dual personalities: the analytical, clinical coach prioritizing the big picture and the passionate athlete focused on one day, one workout at a time. It’s nearly impossible to be both at once. Once you’re immersed in a block, it’s far easier to make impulsive, emotional, and often counterproductive decisions. About once a week, I don my coaching hat again, reassess how things are going and make any required changes. Even if you don’t work with a full service coach, a good adviser or mentor can be invaluable in this respect. This is the number one reason that I work with David Tilbury-Davis. Looking over my training, he sees patterns that I’m too deeply absorbed in the process to recognize. He’s the reality check when my imperfect self-coaching system inevitably breaks down. In this block, key sessions were shuffled around far more than the previous block, often pushed until later in the week due to fatigue. In retrospect, repeatedly rejigging my training plan on the fly was a sign that I was overreaching a little. It would have been better to completely write off a workout or two and get back on the original schedule. Frosty sunrises and fresh Skechers! Is five the magic number? A remarkably consistent pattern emerged as I pored over past training data; My best mid-season training blocks are usually no more than five weeks. Any longer than that, and I tend to get myself into trouble. 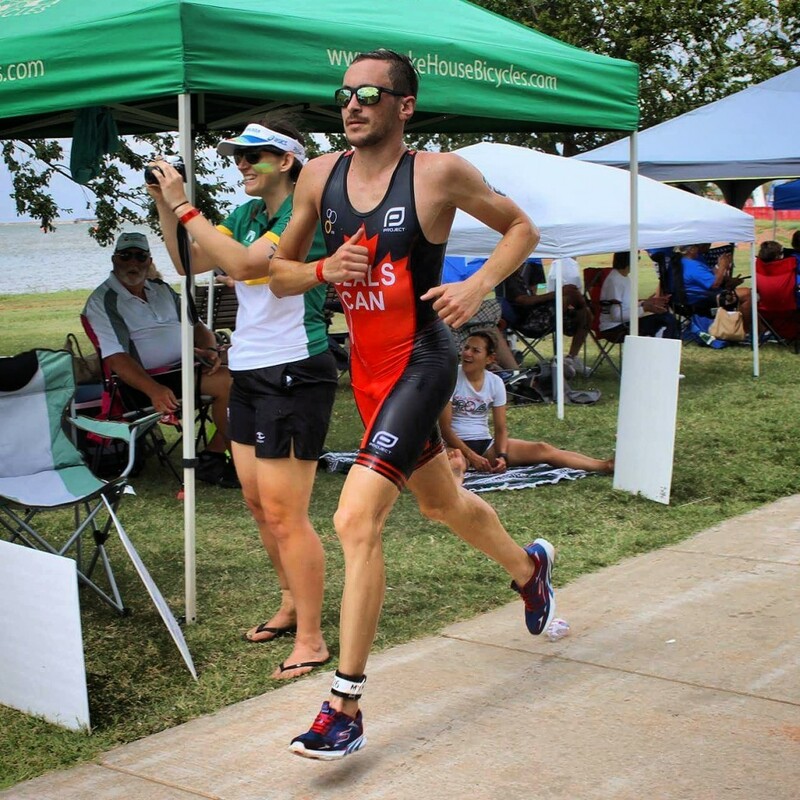 The excellent lead ups to both my wins this year (Ironman 70.3 Eagleman & Ecuador) were precisely five weeks. A five week separation between races allows one week to recover, three weeks of highly focused training (just enough time to get significant adaptation without creating deep fatigue), and one week to taper. On the other hand, every single time I’ve set aside a longer, uninterrupted, mid-season block during my three years as a pro, I’ve struggled with fatigue, illness, or at the very least, a loss of focus. This six week block was no exception. Like clockwork, I became very tired and then sick in the fourth week. In my case, five weeks seems to be a winning formula and I haven’t quite figured out longer blocks yet. The four weekly key sessions in this block were a track workout (usually on Monday or Tuesday), a really tough VO2/specific trainer workout (mid-week), a treadmill workout (usually Friday) and a long ride (Saturday). I was willing to modify the other workouts to make sure that these were well executed. The long ride fell on the last day of the cycle before my weekly recovery day. I was tired by then and some of these rides were ugly. In the previous block, I experimented with my long ride on the first day of each cycle with better results, though other high intensity sessions later in the week suffered. Going forward, a midweek long ride may be the best compromise. Swimming remains my greatest limiter. My three fall races each featured mediocre to atrocious swims, most notably a nightmarish, career worst swim at ITU Worlds. My swim training this year hasn’t been awful, but it’s admittedly been somewhat half-assed. I’ve been frustrated and discouraged by a two year plateau in my swimming, which hardly seems to depend on how I’m training. I’m convinced that training almost exclusively alone, while effective for my cycling and running, is at the root of the swimming woes. Starting this off-season, I’m making some big changes! I recovered relatively quickly after a decisive win at Ironman 70.3 Ecuador. I ramped back up to heavy training just five days after the race. I’ve never regretted erring on the side of caution with post-race recovery. In this case, I may have benefited from an extra easy day or two before launching into this block. A rare stop to admire the scenery in Santa Cruz, California. Flying on the Ventum One with Pioneer Power. 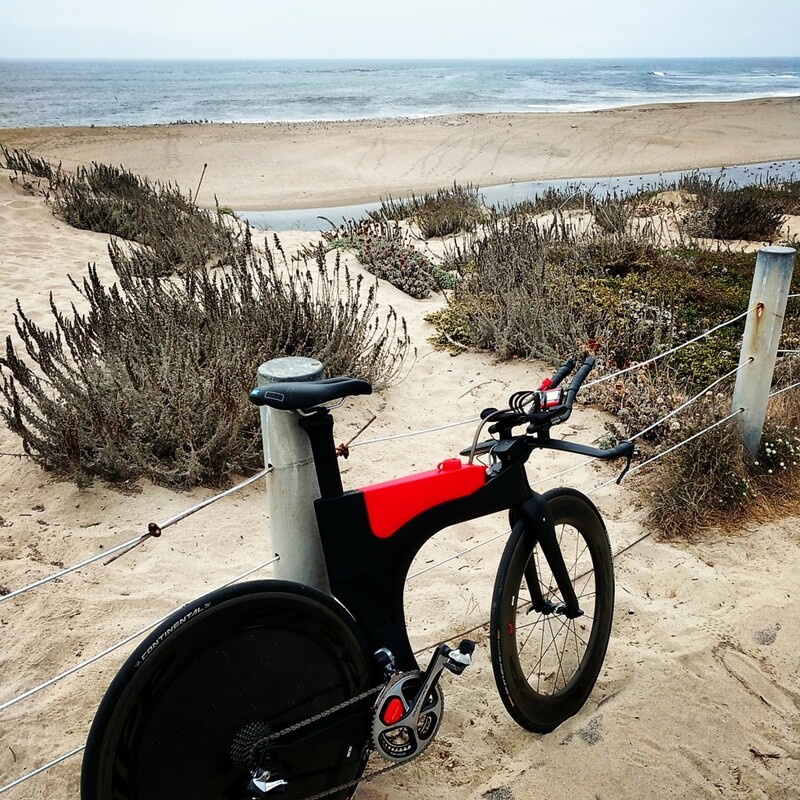 Purpose/description: A long ride to build endurance, test race nutrition and practice holding aero position for long durations in preparation for ITU Worlds. Since most of my riding is on the trainer (usually out of aero position), this is a critical ride to get acclimated to aero position outside on my Ventum One. Lifting the effort to race power near the end demands good focus and fueling. Purpose/description: A not-so-fun afternoon run after the morning’s long ride. The focus was on maintaining good form with tired legs and visualization. Sunday was my weekly recovery day in this block. My training schedule on the other days is often rearranged, but I always respect the sanctity of the recovery day. 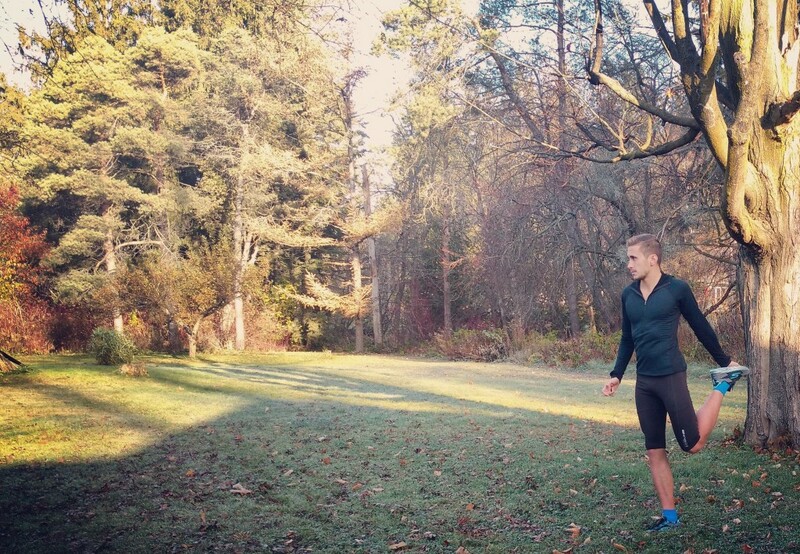 I pencil in an easy run and swim, but everything is flexible and unstructured. The day is all about catching up on rest and calories, blowing off my to do list, unplugging from triathlon and hanging out with friends and family—whatever it takes to be focused and fresh enough to handle the coming week. Purpose/description: A long main set to simulate the ITU LD WC distance (4 km) and dynamic nature (i.e. surging) typical of pro swims. Purpose/description: One of several short post-swim jogs per week to maintain high run frequency (important for me), to possibly help condition my body to rapidly switch between the neuromuscular demands of swimming and running, and more than anything else, to commute home. Purpose/description: A challenging run session above race specific intensity, with a progression throughout the block from very high intensity (VO2+) towards race pace. Emphasis was on perceived exertion rather than pace/splits since this was usually on my lumpy old dirt track. Average pace for the entire session was 3:40-4:00/km. Purpose/description: A minimal in-season conditioning routine to maintain core strength, preserve specific types of flexibility, remain attuned to my body (aches, pains, tension, etc.) and relax before bed. 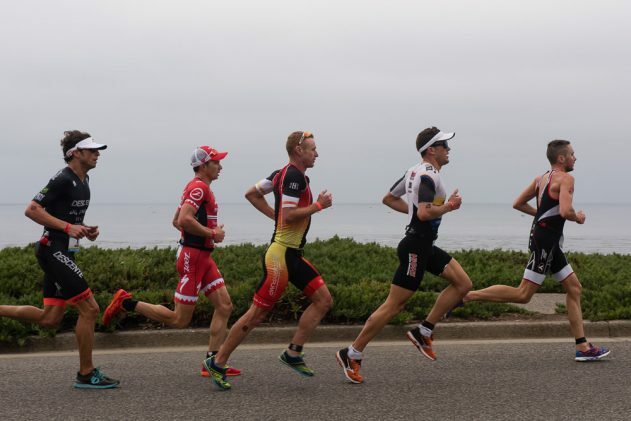 Leading the pack on my way to personal best 1:13 run at Ironman 70.3 Santa Cruz in the Skechers GOmeb Speed 3. Photo: Oliver Baker for Triathlete. Purpose/description: A brutal CompuTrainer workout including an assortment of VO2 and tempo intervals simulating a worst case scenario 70.3 ride both in duration and intensity. Surging well above threshold and recovering around target race power (tempo) is frequently required to be competitive in the 70.3 pro ranks. Two hour normalized power was usually over 300W, which was probably a little more training stress than I needed on a weekly basis. Substituted taper workout in Week 6. Purpose/description: A standard 2-3 km swim that I typically do a few times per week with minor variations. I’ll hit it hard when I feel good or really dial it back when I’m tired. I note my splits for the 4×100 descend and consider trends in these results to monitor fatigue, focus and fitness (a practice I picked up from Magnolia Masters). Purpose/description: A fairly standard workout also included in my last block focusing on pacing. The ability to precisely descend each round of the main set is a good indicator of focus and fatigue. Reasonably relaxed pace times allow flexibility to hit this hard or take it easier depending on how I felt. Purpose/description: A flexible ride with a fairly wide duration/intensity range based on how I was feeling. Usually on my cross bike on the CompuTrainer. Purpose/description: Another flexible ride with a fairly wide duration/intensity range based on how I was feeling. Usually on my cross bike on the CompuTrainer. Purpose/description: A mixed bag of intensity with the priority being to get in some faster, higher quality work. I was usually pretty tired by this point in the week and some of these Friday swims were quite weak. Purpose/description: A challenging 1.5 hour treadmill workout above race specific intensity, with a progression throughout the block from very high intensity (VO2+) towards race pace. This picked up where I left off in the previous block. Questions or comments? Let me know on Facebook, Twitter or in the comments below.